Gateway to the West is what they say the arch represents. Soaring 630 feet high, my daughter Allie and I took a day and rode all the way up to the top with the city of St. Louis spread out at our feet. Busch stadium looked like a child’s baseball set from the lofty heights. Located along the banks of the Mississippi River, the St. Louis Gateway Arch is the tallest memorial in the US. For anyone a little claustrophobic, the pod like carts that carry you to the top can be a bit daunting, my daughter was not a bit sure about it as we sailed/jerked our way to the top. The view though is awe inspiring and worth the trip up this structure that is simple, beautiful and called Structural Expressionist Modern. 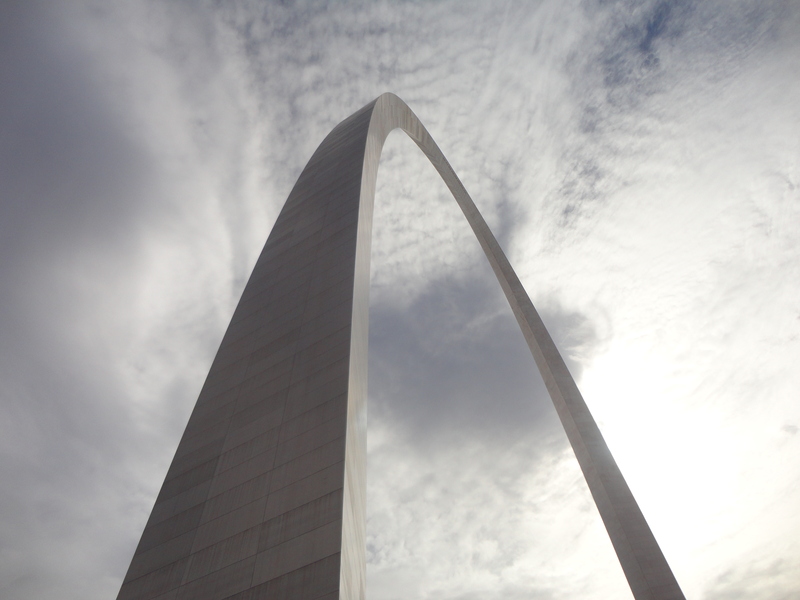 The architect was selected by a 1947 competition and the Arch construction took place from 1961 to 1966 The arch was the brain child of the famous architect Eero Saarinen. Born in Kirkkonummi, Finland in 1910, Saarinen studied in Paris and at Yale University. After graduation he joined his father’s practice. When looking at the clean lines of his work, it is easy to see that he initially pursued sculpture before turning his sturdies to archtecture. Under the arch is a great museum showing westward expansion. Within walking distance from the historic Lacledes Landing, a visit to the area makes for a fun day.